Tungsten carbide grains, permanently welded to a steel band, won't load up, won't break down, won't overheat. Use on wood, fiberglass and plastic. 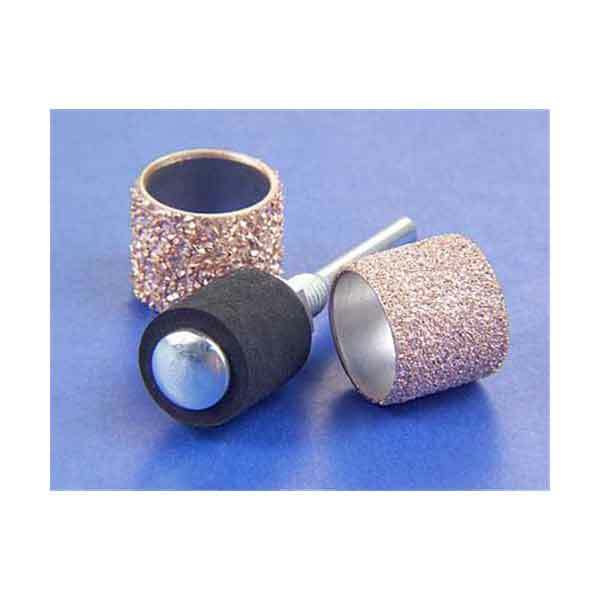 Set includes one each of the following: #14463 coarse grit 1/2 inch dia. x 1/2 inch Sanding Band; #14464 fine grit 1/2 inch dia. x 1/2 inch Sanding Band; #14563 1/8 inch shank Sanding Drum.